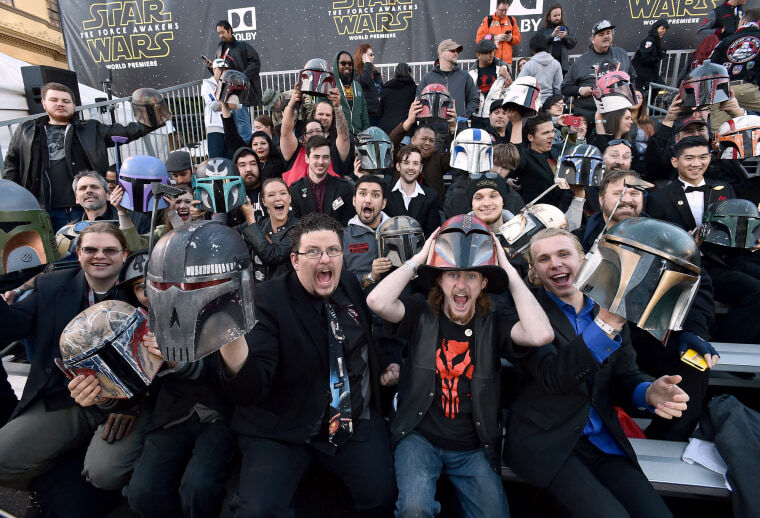 The world premiere of "Star Wars: The Force Awakens," was held in Los Angeles, Calif. amid wild excitement from fans. 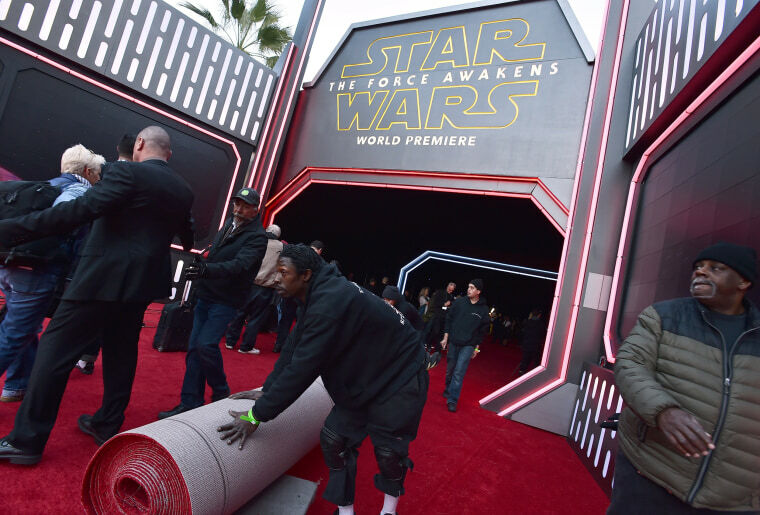 The Dolby Theatre being prepped for the premiere which encompassed four city blocks along Hollywood Blvd on Dec. 14, 2015, in Los Angeles, Calif.
Staff prepare the red carpet. 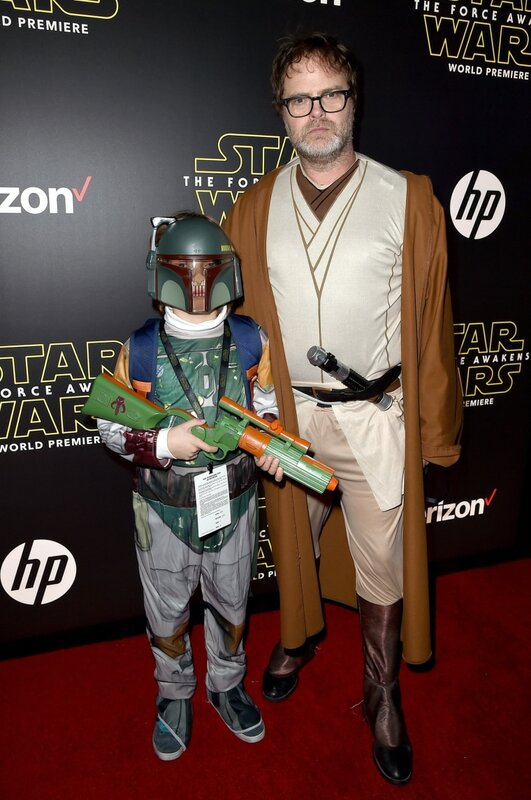 Walter Wilson (L) and actor Rainn Wilson dressed up in costumes. 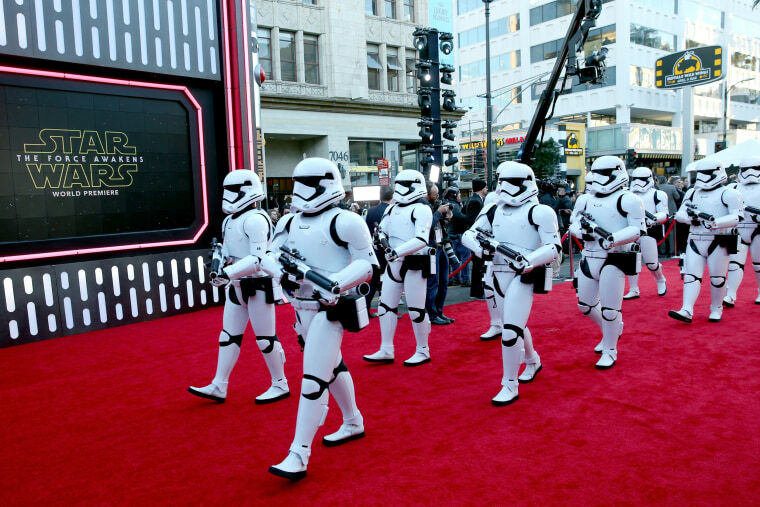 Stormtroopers arriving at the event. 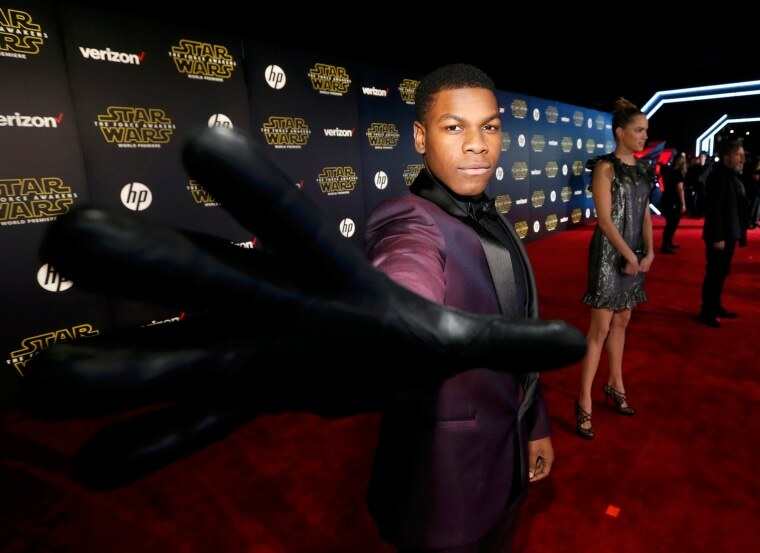 Actress Daisy Ridley on the red carpet. 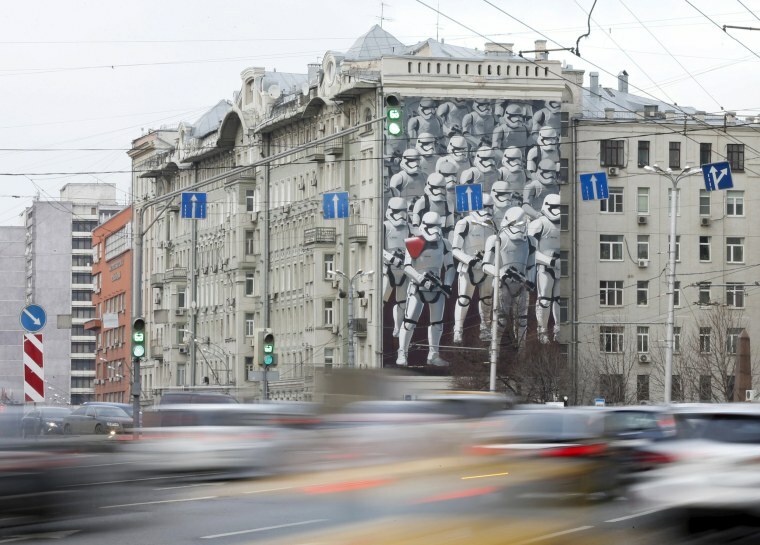 Cars drive past a building decorated with a mural depicting Stormtrooper characters from the movie in Moscow, Russia. 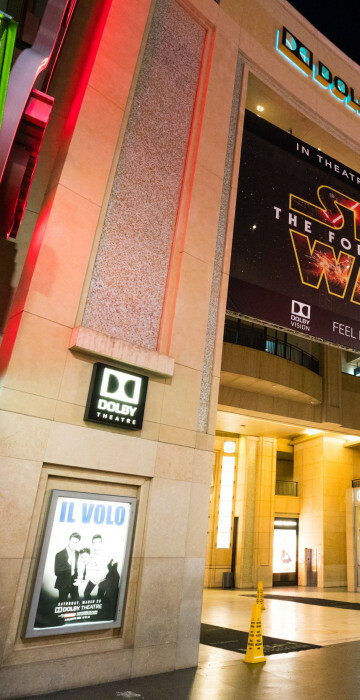 The Russian premiere will take place in Moscow on Thursday, Dec. 17. 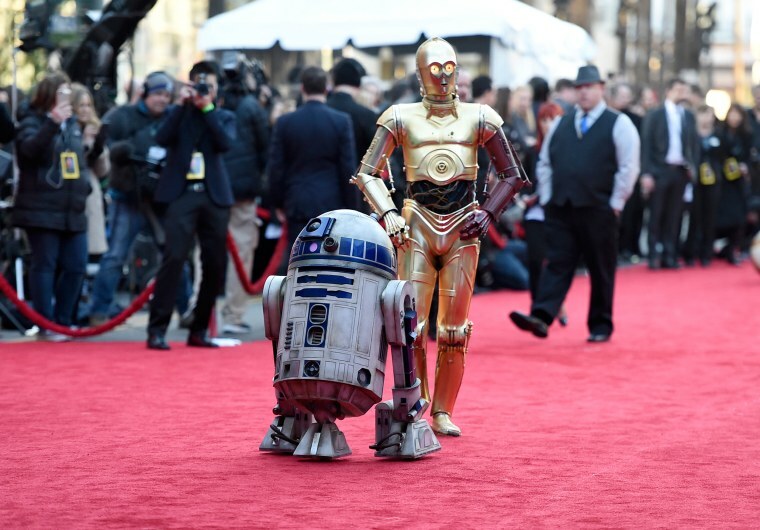 Film characters R2-D2 (L) and C-3PO arrive at the event. 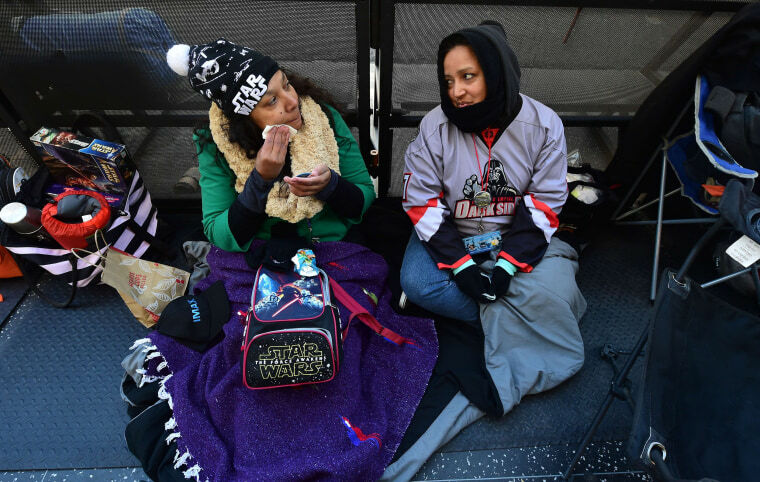 Fans Kai Charles (L) and Veronica Nunez (R) bundle up to keep warm, while in line, following a cold rainy night as preparations were underway for the premiere. Excited fans cheer in the stands. 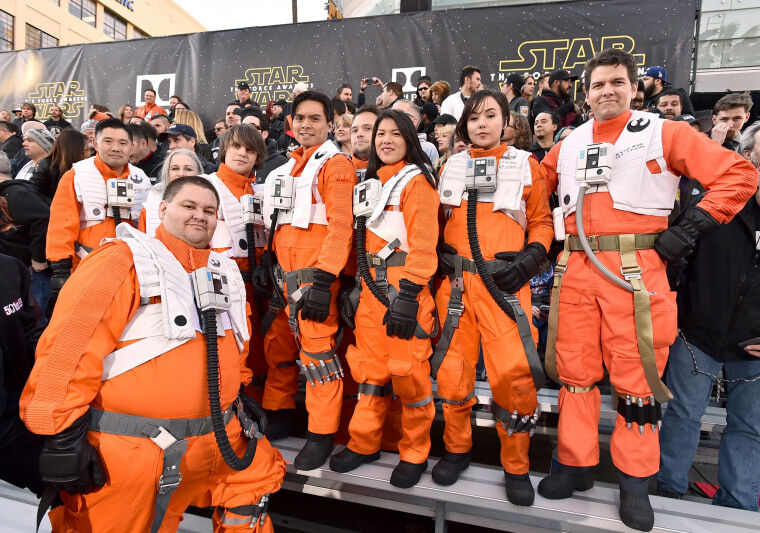 Fans dressed in character wait in the stands at the TCL Theatre. 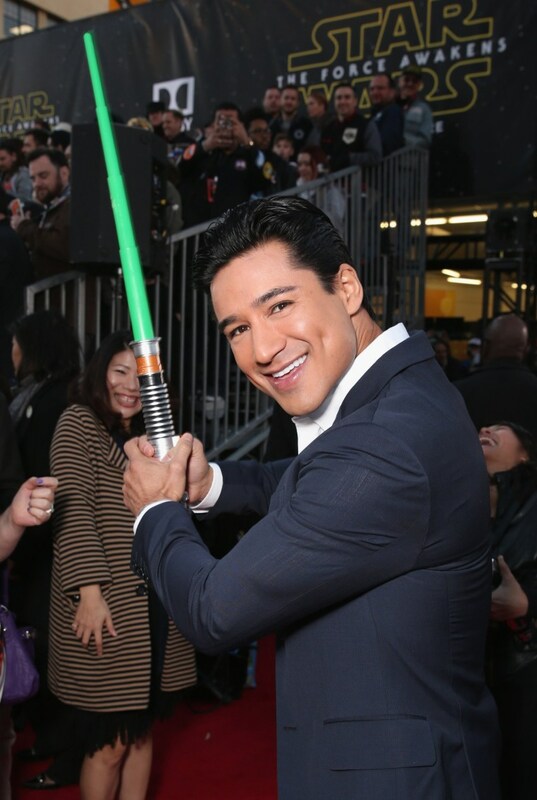 TV personality Mario Lopez strikes a pose. 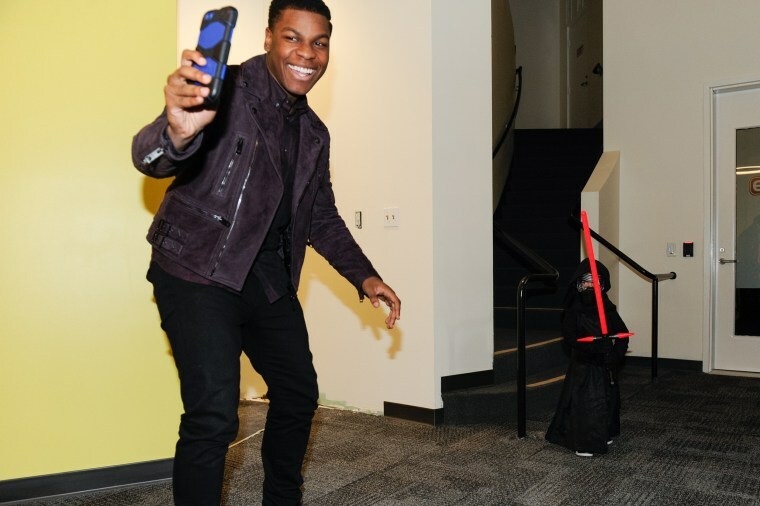 Actor John Boyega gestures towards a camera. 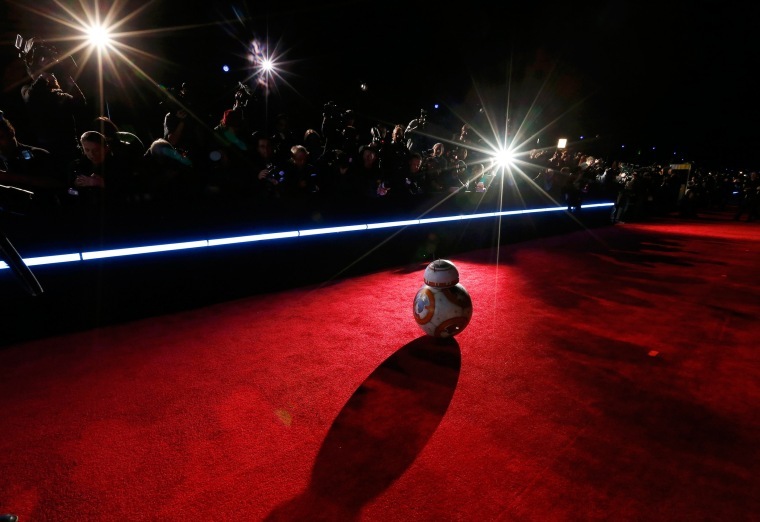 Droid BB-8 arrives at the event. 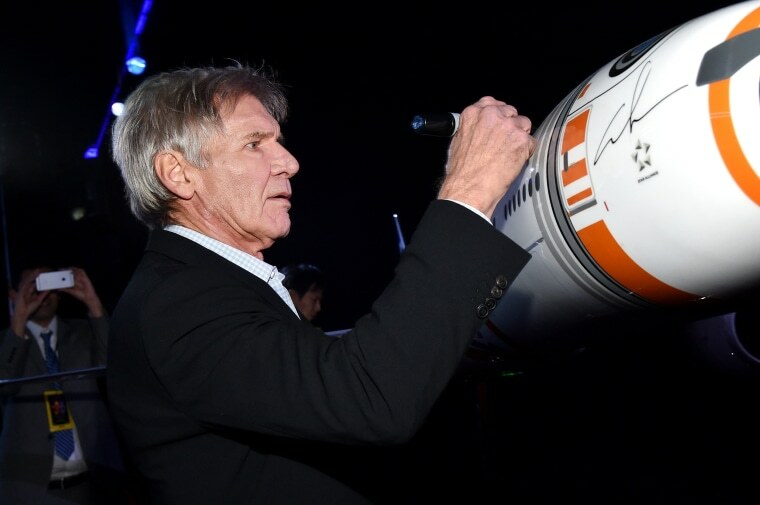 Actor Harrison Ford autographs movie memorabilia. 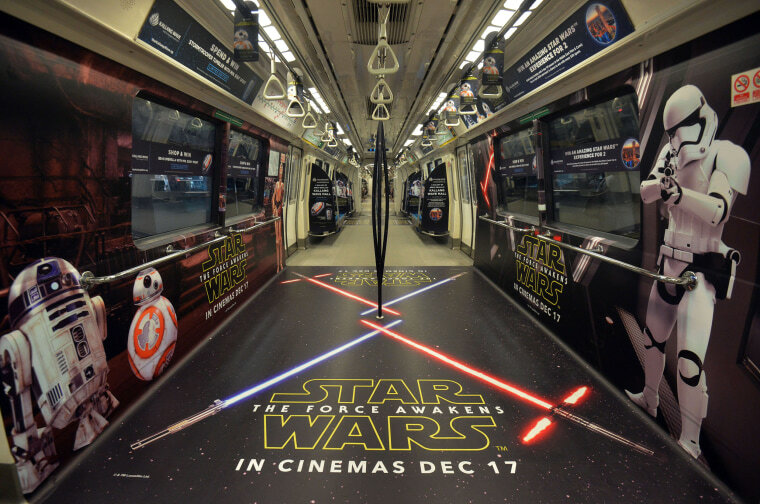 A Singapore Mass Rapid Transit (SMRT) train compartment is seen adorned with movie promotional material in Singapore on Dec. 15. 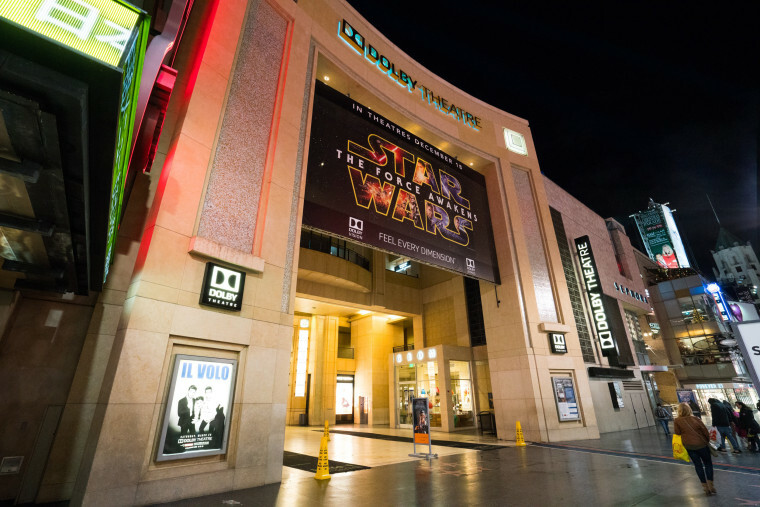 The much anticipated seventh episode in the film franchise, will screen in Singapore on Dec. 17. 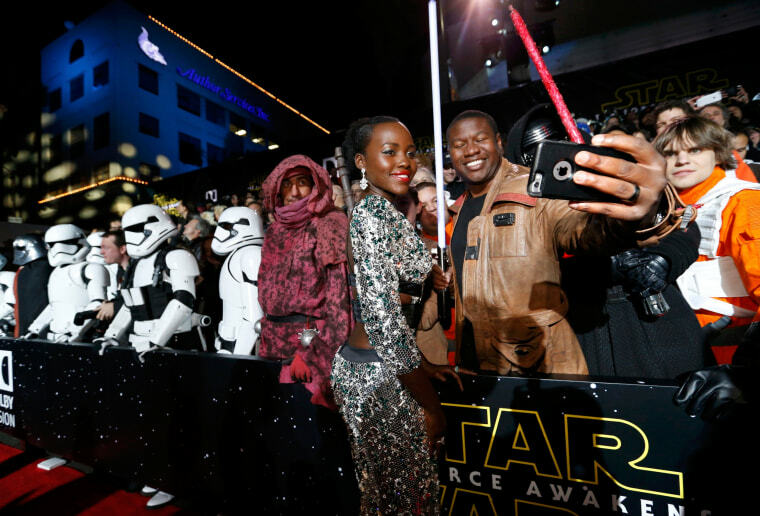 Actress Lupita Nyong'o poses with a fan as she arrives. 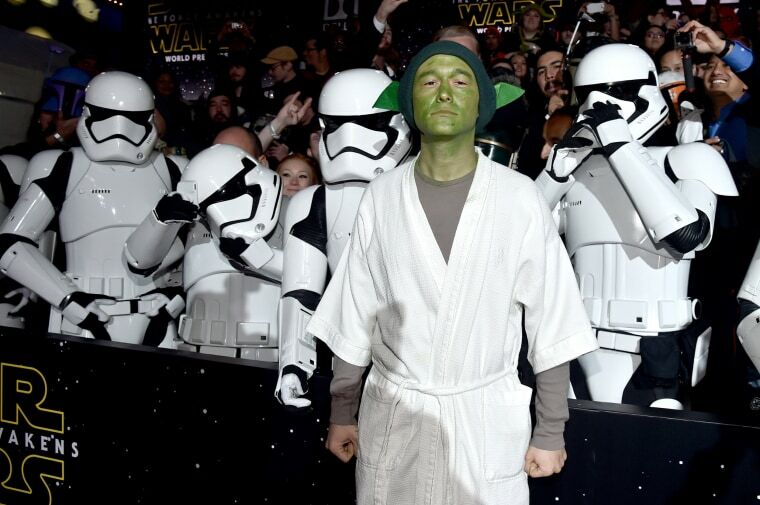 Actor Joseph Gordon-Levitt dressed as Yoda at the event. 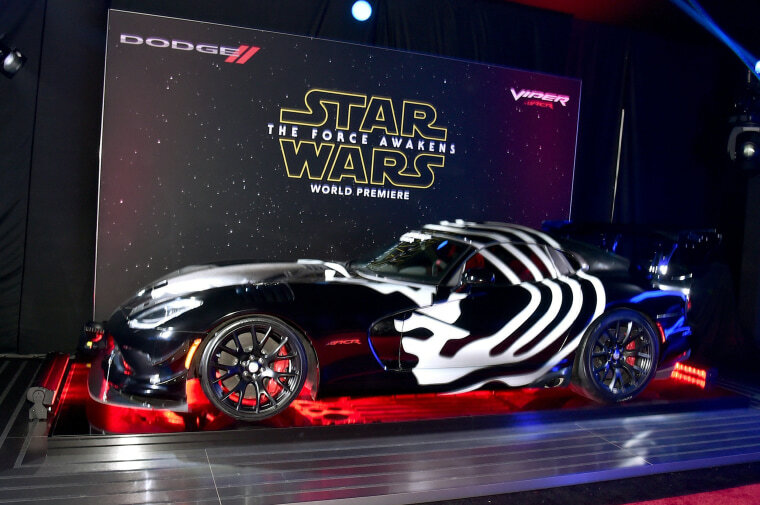 John Boyega meets a fan dressed as 'Kylo Ren' at "Extra" at Universal Studios Hollywood in Universal City, Calif.
A view of the Kylo Ren Dodge Viper during the after party.